This shop has been compensated by Collective Bias, Inc. and Mazola® Corn Oil. All opinions are mine alone. 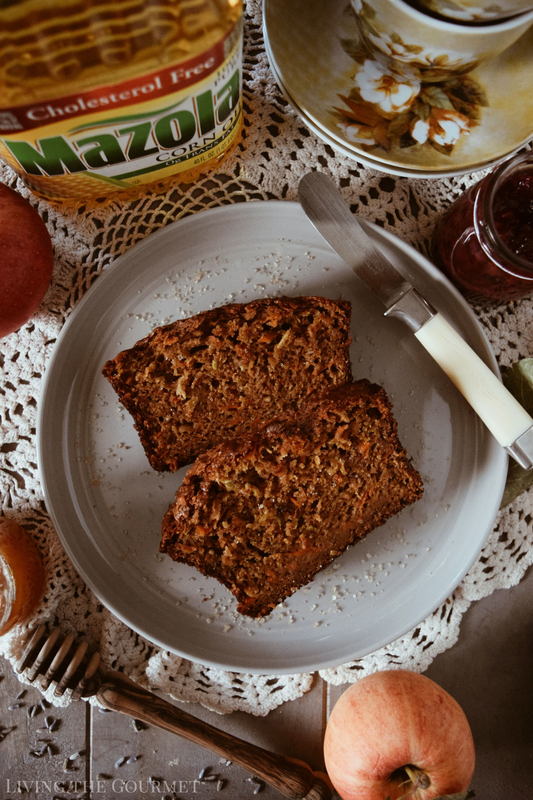 #MakeItMazola #simpleswap #CollectiveBias​ Fall mornings are complete now with a warm slice of this ultra moist Harvest loaf boasting of grated zucchini, carrots, and sweet apples! Cooking oil is one of those ingredients that are very easy to regard as a sort of ‘tool’ or ‘utility’ rather than as an ingredient, so it’s often very easy to overlook the qualities, flavor, and benefits – or detriments – of the oil you’re using, as long as it ‘gets the job done.’ However, as with all ingredients, the quality of your recipe is the sum result of the ingredients that went into its preparation. Yet, the process of the selecting the right oil for the right recipe can be particularly daunting. It might be tempting to simply pick a top or mid quality oil, and use that as your ‘universal kitchen oil,’ but I assure you that’s not the way to go. Lately, I’ve been using Mazola®​ Corn Oil. A clinical study showed Mazola Corn Oil reduces cholesterol 2x more than extra virgin olive oil. To learn more about this claim, see Mazola.com ​ For example, in certain salad dressings, dipping oil recipes, or certain baking recipes, there are instances where the flavorful nature of more pungent oils might simply be overpowering or otherwise imbalance the recipe and so a neutral flavored oil is preferable as an almost ‘invisible’ base. By contrast, for frying or stir-frying, flavorful or particularly aromatic oils, which you might think will add to the complexity of the recipe, are simply not cost effective for such a purpose since much of the oil’s original flavor and aromatics will simply be lost or muted in the process of cooking. Instead, a good quality corn oil is ideal for these sorts of uses. 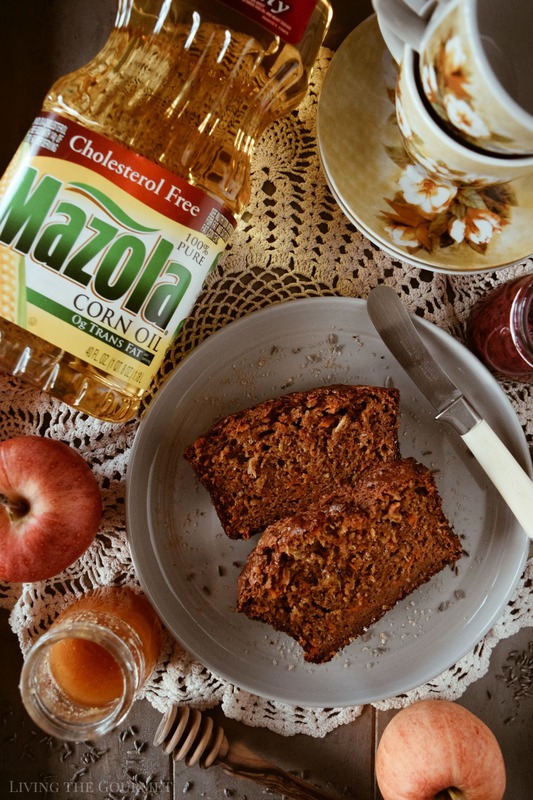 Neutral in flavor and being far more affordable as an all-purpose cooking oil, is Mazola Corn Oil. Having a very high smoking point of 450 degrees Fahrenheit, helps the oil to maintain the food’s flavor and even the nutritional value of the cooked food. 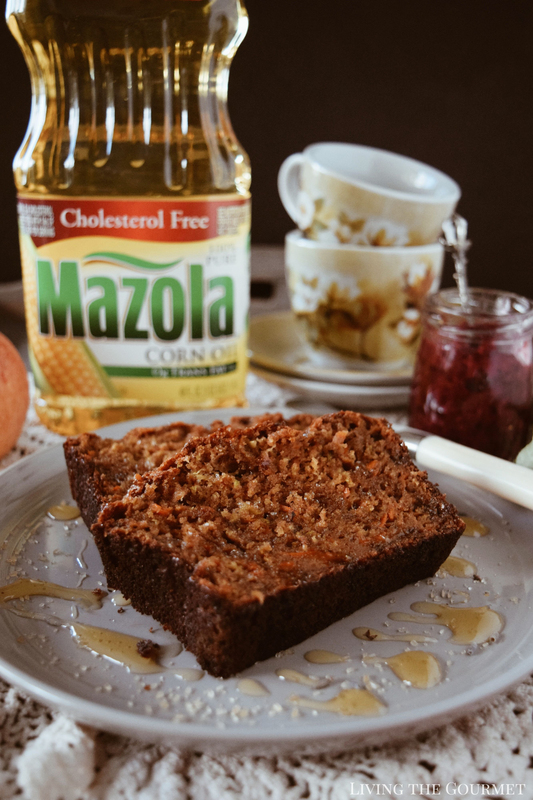 Packed with cholesterol-blocking plant sterols, Mazola Corn Oil is a very heart-healthy choice of oils for things like dressings, marinades, and other applications. That made Mazola Corn Oil a perfect choice for today’s recipe – Harvest Morning Loaf. 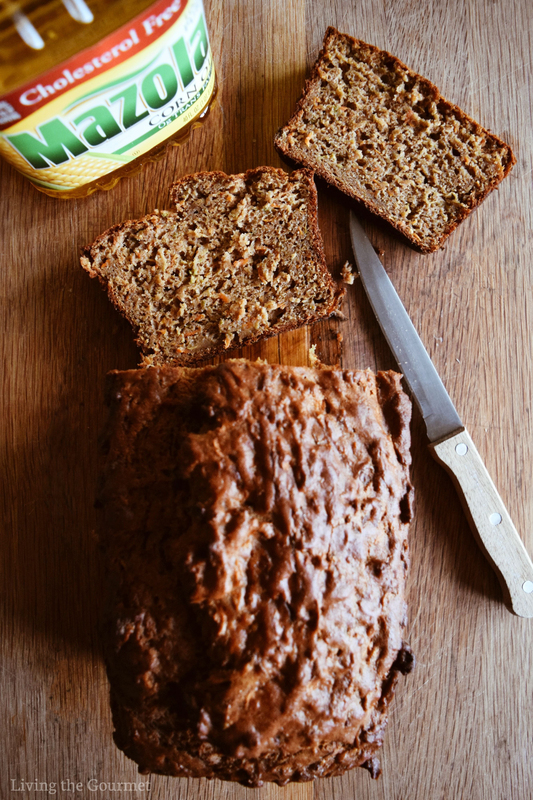 This is one such loaf where I do prefer a neutral, good quality general purpose cooking oil – such as Mazola Corn Oil. To start things off, we begin by buttering a cast iron loaf pan, sides and bottom, and then sprinkle the butter coating with sugar. 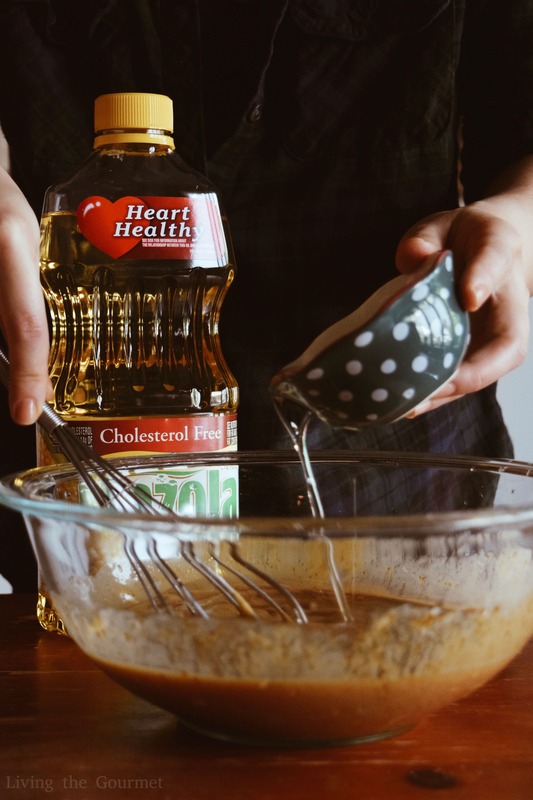 From there, we whisk together sugar, Mazola Corn Oil, eggs, vanilla, and Greek yogurt. 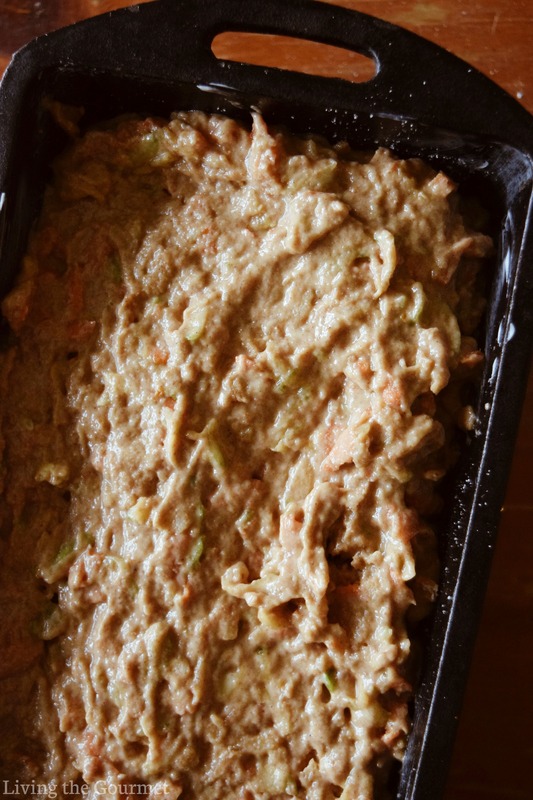 Once those are well whisked together, we then add in the grated zucchini, grated carrot, orange zest, and grated apple – all of which you want to be well strained. Then set this aside. Using Greek yogurt instead of sour cream and adding grated vegetables instead of only using flour makes this recipes on the lighter side! 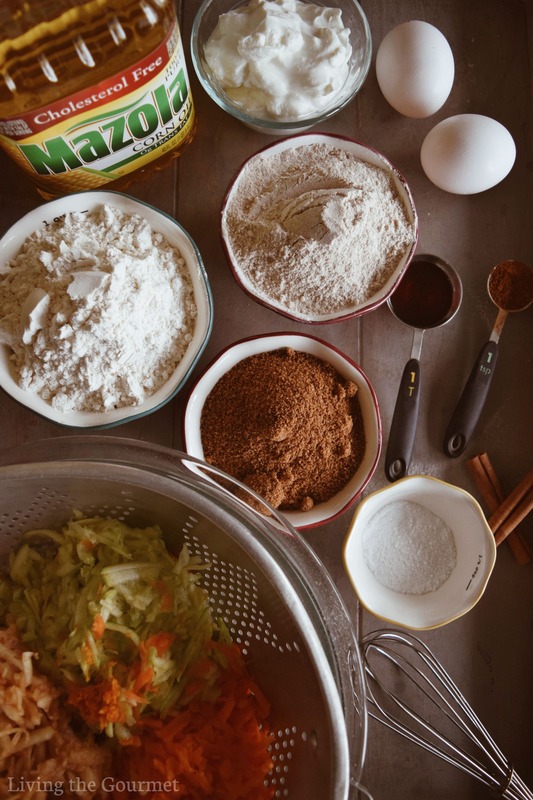 In a separate bowl, whisk together the flours, baking soda, baking powder, cinnamon, and salt, and then add those dry ingredients to the wet ingredients, and fold that mixture until a thickened batter comes together. Pour the resulting batter into the prepared loaf pan, sprinkle with some Turbinado sugar, and bake that for about forty-five minutes, or until the top is golden and the cake tests ‘clean.’ After cooking, allow the loaf to cool slightly on a wire rack before turning out of the loaf pan. Preheat oven to 350 degrees F. Butter a loaf pan and sprinkled the bottom and sides with sugar. In a large bowl, whisk together sugar, oil, eggs, vanilla, and Greek yogurt. Add in the grated zucchini, carrots, apples, and orange zest. Set aside. In a separate bowl, whisk together flours, baking soda, baking powder, cinnamon, and salt. Add the dry ingredients to the wet and fold until a thickened batter comes together. Pour the batter into the prepared loaf pan, sprinkle with Turbinado sugar, and bake for about 45-50 minutes or until the top is golden and the cake tester comes out clean. Let cool on a wire rack completely before transferring from the loaf pan. Serve with jam and honey, or whatever you desire. Enjoy! This loaf is best served warm and even toasted slightly with a drizzle of honey, a smattering of your favorite jam, or with just a pat of butter. However you choose to enjoy yours, it’s a perfect way to keep your mornings wholesome and balanced! Enjoy with Love! I have to try this recipe. That bread looks so good! I'm also excited to learn the corn oil is actually good for me. I had no idea. I want to get into bread making! 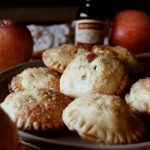 I have all sorts of recipes pinned on Pinterest! I love this! This looks delightful and tasty. My husband would love this for sure. This is my kind of weekend treat. Mmm looks delicious. I'll have to give it a try since I never have made my own bread before! This will go perfectly with cup of warm tea or coffee in the morning. I can't wait to give this recipe a try. Loaf looks so moist and so flavorful. This looks so delicious! 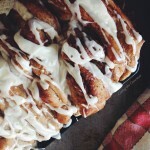 I need to try out this recipe ASAP! 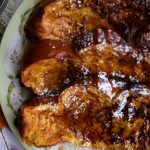 All I had to do is see coconut in this recipe and I am totally in love. Coconut is my favorite and taste better in any cake I ever make this looks like a winner here Catherine! This sounds like a great way to start my day. I might even try this toasted, slathered in butter...and fresh coffee. Heaven!! 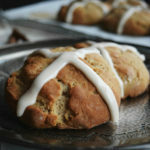 I would love to bake a loaf of this! The ingredients you chose are so fresh and perfect! Now this is my favorite breakfast! I can not wait to try a bit. I really like this recipe. It really impresses! An interesting mix of ingredients. Thank you! Harvest morning loaf looks great! 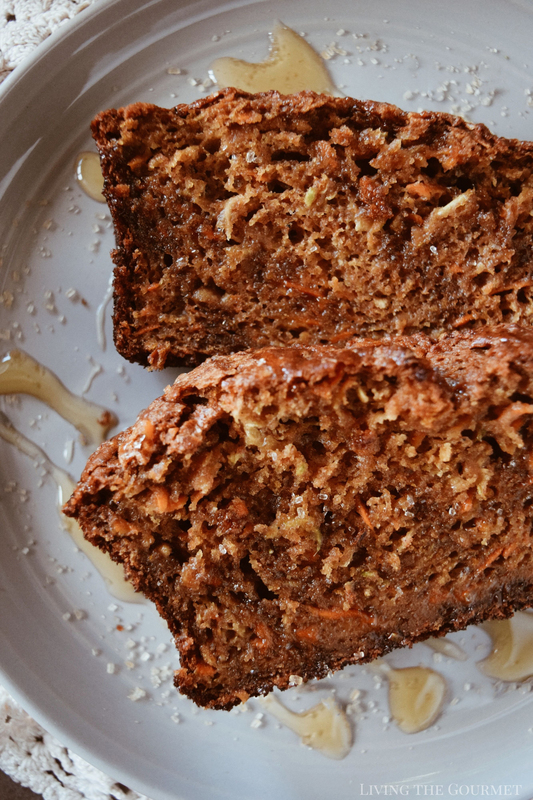 I love that there are vegetables in this delicious loaf. I how delicious this is and packed with nutrition. Definitely perfect for breakfast. Love that addition of zucchini and carrots. This just sounds delish! 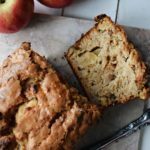 I love the hidden veggies in it too - my kids won't even know! Oh my, what a moist and delicious looking loaf that is. Love that you used Greek yogurt in it. Sounds yummy!! I'm one of the people who used to consider oils just a tool ... a way to keep food from sticking to the pan. LOL There's so much more to oil! I love this recipe! Looks like an amazing loaf to have with coffee! 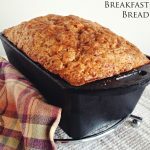 I can see why this is called a harvest morning loaf, because it would be perfect with a cup of tea or coffee for breakfast. So flavorful! We've been using Mazola oil for many years now. It's reliable and I can always count on having my recipe turn out great. Your Harvest morning loaf looks tender and moist. What a nice way to start the day. Would go so well with my coffee. I use this oil a lot in my cooking too! 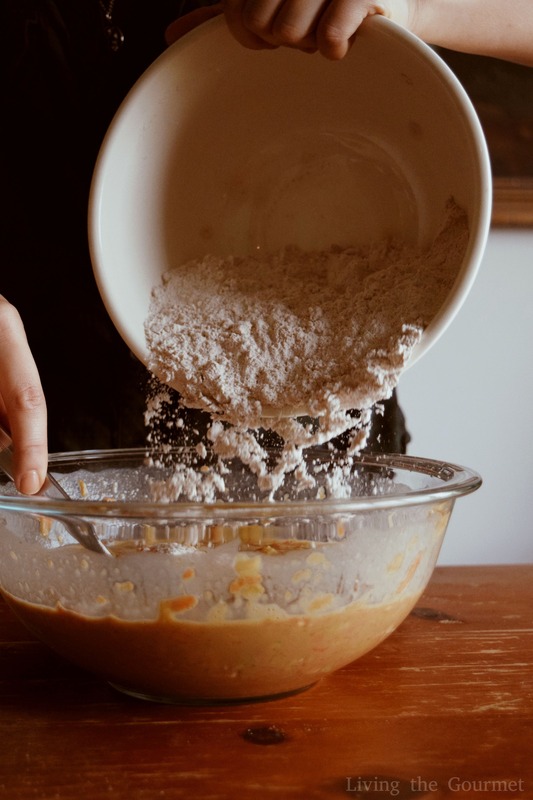 Also I really enjoy your process shots, especially the one of pouring flour into the batter, that one is so cool! 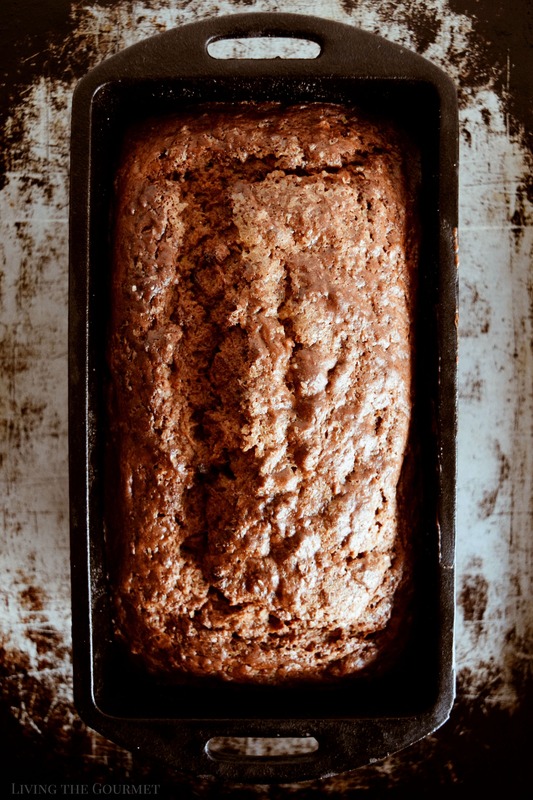 This harvest morning loaf looks delicious, Love the addition of zucchini in the quick bread. This recipe sounds delicious! When I lived in Argentina I used to buy nothing but Mazola oil, but here in Switzerland corn oil doesn't exist! It is very rare and only available in small stores that sell imported products but it is not always in stock! This sounds like my dream loaf! Love all the goodies in the batter!!! This looks and sounds like a delicious recipe! I would love to try making this sometime. Thanks for sharing.